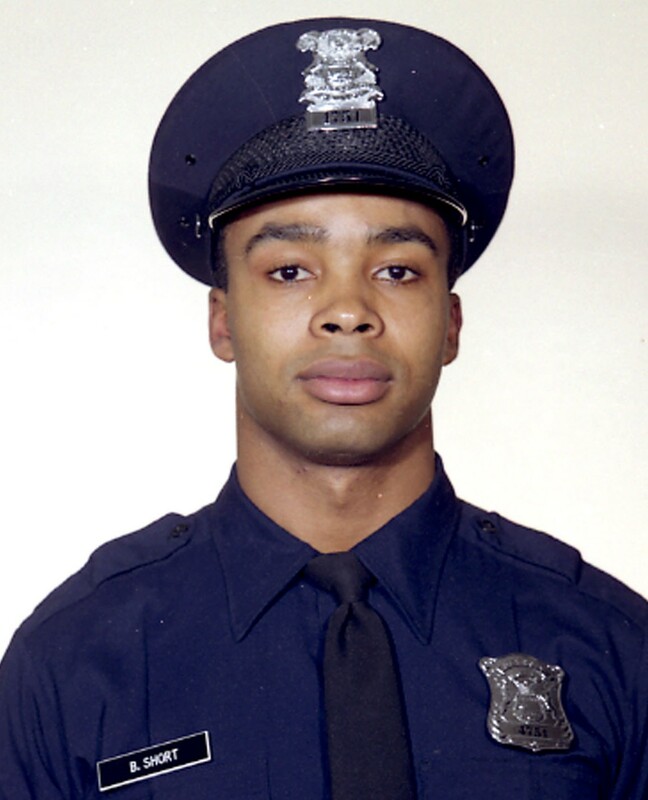 Officer Short was shot and killed around 1 a.m. when he intervened in a bar fight while off-duty at the Tropical Hut Lounge at 14925 Livernois. Officer Short, who worked as an undercover officer in the department's narcotics enforcement division, was there with his partner when he observed one of the fighters produce a handgun. Officer Short served seven years in law enforcement and is survived by his wife and two-month-old son.